There are two distinct segments of trail along Rottenwood Creek. The south segment can be found in the Chattanooga River National Recreation Area beginning in Cumberland. 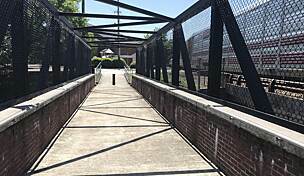 The north segment can be found near Kennesaw State University in Marietta. The south segment is 2 miles long: the portion of the trail on national park land is called the Rottenwood Creek Trail while the urban 0.5 mile on the western end is known as the Bob Callan Trail. The trail is a natural escape from a busy urban lifestyle and is popular with everyone from moms pushing strollers to eager morning cyclists and older folks taking afternoon strolls. The trail begins at the Palisades Trailhead of the Chattanooga NRA at Paces Mills. 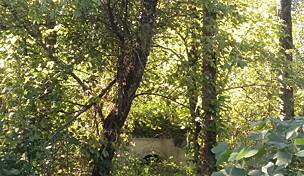 The trail begins its journey on a wide, porous concrete path paralleling the Hooch, as the river is fondly known. A screen of trees hems the trail in. After you cross under I-75, the turns left and leaves the river, now following Rottenwood Creek instead. Boardwalks and bridges break up the monotony and are great spots to pause and take it in. At about 1 mile in, the terrain changes from relatively flat to hillier as it slopes up to meet I-285. Signs of urban life begin to creep back through, particularly the apartment buildings that can be viewed from the trail. At 1.5 miles, the trail exits park land – there is a sign to let you know this. 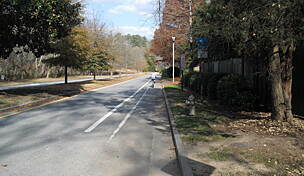 From here, the Bob Callan Trail picks up in Cumberland Community Improvement District (CID), passes Akers Mill Trail and ducks under the tangle of freeways which includes I-285, only for it to emerge at the designated Bob Callan Trail trailhead. 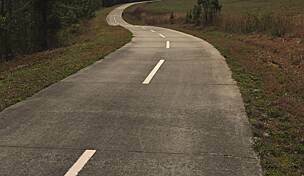 Cumberland CID hopes to extend the trail from the Bob Callan Trailhead north to Terrell Mill Road. The north segment, 1 mile long, begins along South Marietta Parkway and meets Rottenwood Creek at Aviation Road. It winds between the university’s athletic fields and comes to an unceremonious end at Alumni Drive. This segment is alternately known as University Trail. For the south segment, parking is available at either end. 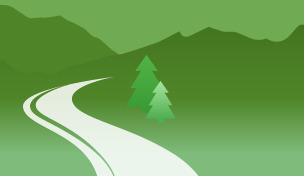 There are 10 spaces of free parking at the Bob Callan Trailhead on Interstate Parkway North. At the Paces Mills Unit of the Chattanooga NRA, there’s much more room to park, as well as restrooms but there is a fee of $3 to enter the national park. 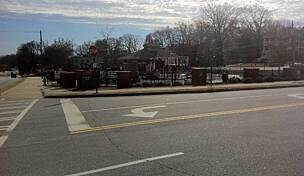 There is no designated parking for the north segment in Marietta.